There are a few things you may not know about Louisiana. It’s Hot. It’s Humid. It’s really HOT. We like to go to the pool to cool off, OFTEN. Us Southern gals like to monogram or put our kids name on everything they own. This is true. In fact, we will place a name or initial on ANYTHING. 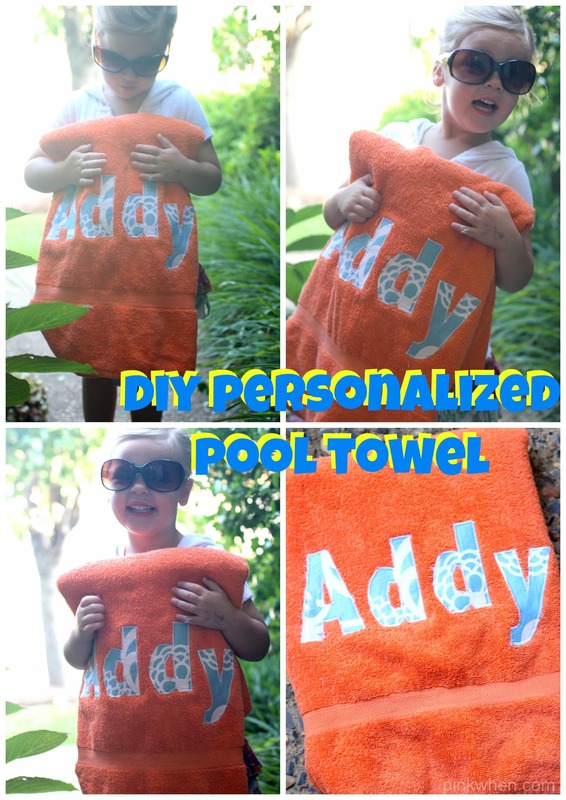 It’s one of the reasons behind this DIY Personalized Pool Towel I am going to show you today. We are in the FULL SWING of Summer over here in Louisiana. Everything is hot, sticky, and humid. With the weather so hot, we are going to the pool and cooling off a few times a week, if not more. When Addy is in daycare, they often have a fun little pool day. When they do, it is usually a quick trip outside to their inflatable kiddie pools and a pile of towels off to the side. Addy can barely remember which shoes are hers, so I never expect her to come home with the correct towel. 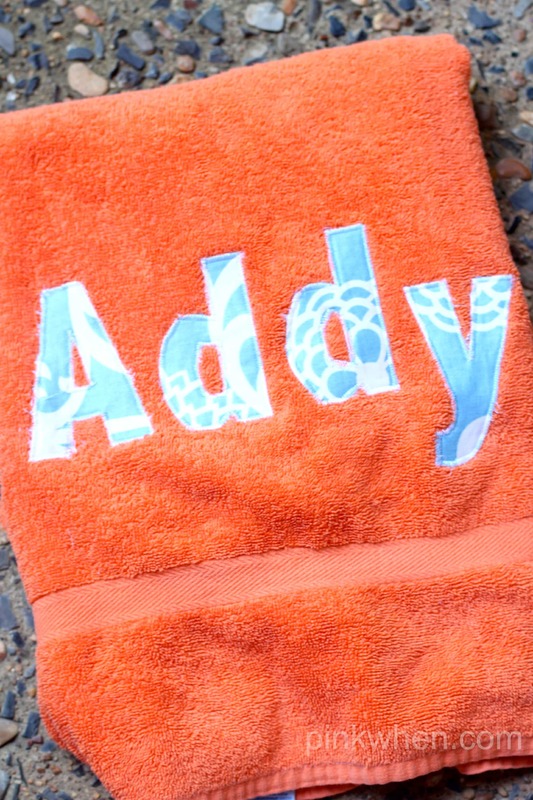 This Summer I decided I would help her remember a little with her very own personalized towel. Not only does Addy know which towel is hers, but the teachers do as well. 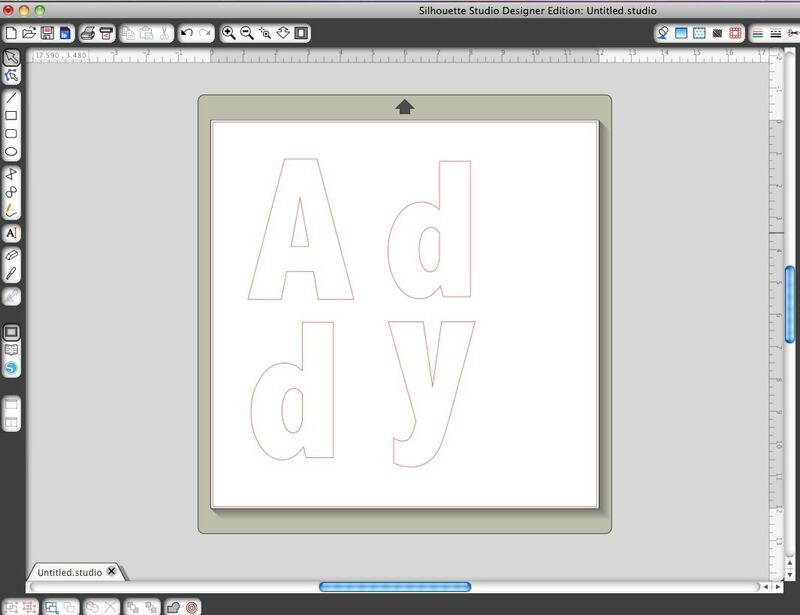 To make this towel I created her name in the Silhouette Designer Edition software. Having this software makes life easier because I can easily resize and see measurements for exactly what I am looking for. Once I had the size and font I liked for the letter, I cut my fabric to fit the cutting mat and placed it into the Silhouette Cameo. After it was loaded, I placed my cut settings to fabric, placed my blade on 8, and did a double cut with the Silhouette Fabric Blade. After the fabric is cut, I then adhered the letters to the spot on the towel with a little liquid stitch. This allows the letters to stay put before I use the sewing machine and apply a zigzag stitch all the way around the letters. It’s a quick project and takes just under an hour! I love the way it turned out. I’m not the only one who loved it….Addy did, too! If you are looking to create your own pool towel, (or open your own online store and create them for A LOT of people), NOW is a great time to do it! Silhouette is having their July Promotion and you can save money purchasing a new Silhouette this month! 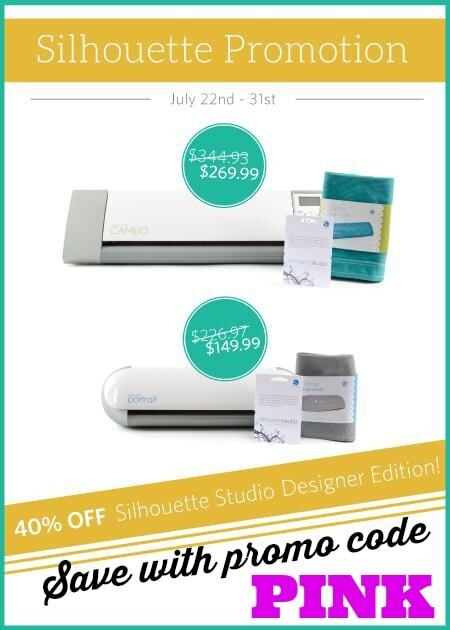 If you already have a Silhouette, you can download the Designer Edition Software for 40% off! All you need to do is use promo code PINK when checking out to receive your savings! She is just adorable! I want one of those machines so bad but I’m trying to get my rooms straight before I go adding more units. This looks so fun! I hope you guys are having a great Tuesday! This is really cute and in a private facility should not pose a danger. You have to remember predators are everywhere. When you put a child’s name on an item, you give a predator an edge. They can call your child by name as if they know them and your child is none the wiser. How about using just monograms. No first names. Just beware. So true, and you should always be aware of your surroundings with your children. nice idea, but a scan and regular win word or word perfect does it too. or even gimp as an art tool. 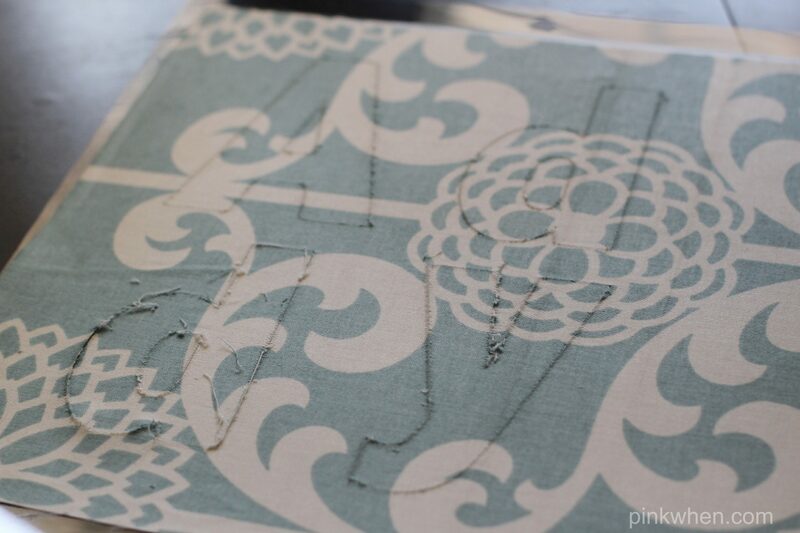 There are so many ways to make an applique, but I was showing how to easily do it with a Silhouette machine and the fabric cutting tool. No need for scissors when you have this!